We’ve been building relationships since 1977. Some of the links below are organizations we belong to and support. Others are for information for specific disposal. Use these links to find out more about these programs and organizations. The Greater Madison Chamber of Commerce wants to make the Madison-area a global hub for innovation. They believe the visionary ideas and entrepreneurial spirit here make our community unique. Members include big and small, traditional and pioneering, and tech-savvy and creative businesses and nonprofit organizations. By working together for the Madison area, the Chamber membership has the power to advocate for healthy economic growth on all levels. The National Association of the Remodeling Industry (NARI) is an organization of remodeling professionals. NARI includes the best of the best in remodeling, subcontracting and support service like we provide. The NARI chapter in Madison represents more than 300 companies and 1500 remodeling professionals who pledge to observe high standards of honesty, integrity, and responsibility. You can count on a NARI professional to guide you through a successful remodeling project. With more than 500 members in Madison, MABA is the premier builders association in the area. From community service to educational opportunies, MABA is a resource for anyone looking at building or remodeling. By providing the public with an opportunity to safely dispose of such hazardous products,these products are kept out of landfills and lower the environmental risks associated with such improper disposal. The payoff is a cleaner, healthier environment. 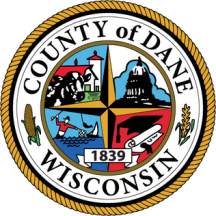 The Dane County Solid Waste Division is responsible for the siting, construction, operation, maintenance, closure, and post-closure care of Dane County’s landfills, compost sites, and landfill gas-to-energy systems. Landfill gas-to-energy systems reduce the County’s budget by $1.2 million annually. And the Division’s integrated approach to landfilling, composting, recycling, and hazardous waste disposal ensures an affordable long-term solid waste disposal system for Dane County residents and future generations. Cascade Asset Management was formed in 1999 to provide comprehensive information technology equipment retirement services for businesses, institutions and municipalities. The company now operates full scale processing facilities in Madison, Wisconsin and collects between 200 – 400 tons of computers, office electronics, consumer electronics and test equipment each month. WasteCap Resource Solutions, Inc. is a 501(c)(3) Non-Profit, an industry supported organization that provides waste reduction and recycling assistance to businesses. WasteCap assists and encourages companies to effectively drive costs out of their operations through improved solid waste management practices. Wisconsin has a strong history of recycling and composting, and each of us has a role to play in continuing this success. We keep almost 2 million tons of material out of Wisconsin landfills and incinerators every year through recycling and composting. Recycling and composting are good for our economy, providing hundreds of community-based jobs and reusing valuable materials that would otherwise go to waste. Reducing our waste through recycling and composting is also good for our environment, reducing waste, cutting air pollution and saving energy. The Society of St. Vincent de Paul is committed to helping neighbors in need by using donated goods to provide help to local households struggling with poverty. Donate gently used goods for re-use or re-sale in one of 7 Dane County stores. Last year, they provided over $2.6 million in assistance to Dane County households struggling to make ends meet.